The Finger Lakes region in upstate New York has recently been the subject of reviews and writing by various wine commentators. Wine Spectator and Wine Enthusiast have given ratings of 90 and plus to a number of FL wines and several more have made it to the wine lists of famous and expensive New York city restaurants. I then decided to take a trip to the region to check the wine scene myself. I visited some 15 wineries in the region in mid-September 2014 and would like to share below with the Club members some of my observations. In a nutshell I confirmed that this is still eminently a white wine region although there is an emerging production of interesting reds. The quality is generally good to very good but is uneven (a few wines are actually outstanding and others are terrible), the prices are astonishingly low for the good quality stuff. 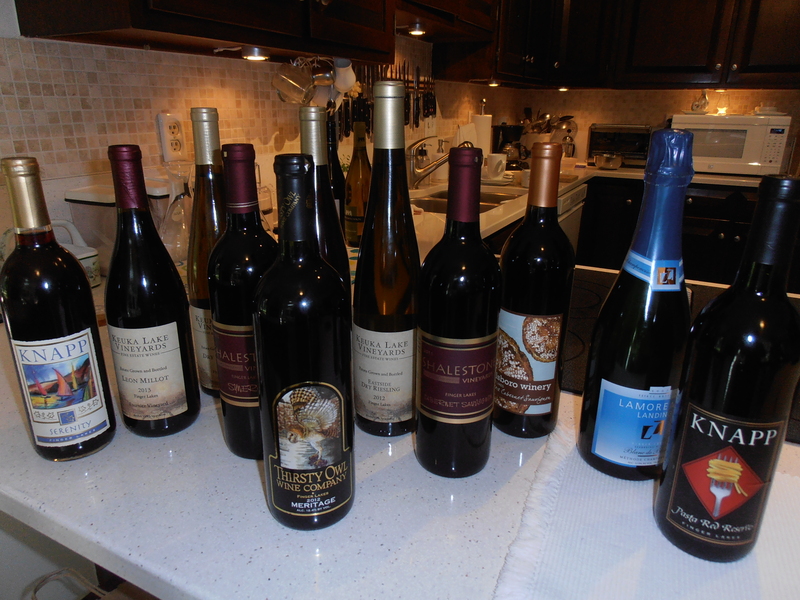 Most wines are priced between $15 and $25. Riesling is the king (in many instances perhaps at par of the good German Rieslings) but varieties like Gewürztraminer, Grüner Veltliner, Seyval, Chardonnay, and even Viognier are coming up quite nicely. Amongst the reds the best qualities are Pinot Noir, Cabernet Franc, some good blends (Meritage or Bordeaux type) and German varieties like Lemberger. I found very good sparkling wines (both white and roses) worth trying and buying. Red wine production is still very much an ongoing work. The red wines are light with alcohol on the low side (13%) similar to German reds but I do not believe that they can compete yet pricewise for example with the wines from South America, Spain, Australia or New Zealand. Most wineries can ship to DC, VA and MD. I still need to research the regulatory aspects in FL but most wines are labeled with the winery name, the variety, the dryness (from dry to sweet) and the residual sugar (RS). The sweet wines have around 4 percent RS and the dry wines 0.4 percent or less. This classification applies to both whites and reds. Finger Lakes Wine Country, New York is home more than 100 wineries, breweries and distilleries located around Keuka, Seneca, Cayuga, and Canandaigua Lakes. As mentioned above, the region is located in upstate New York and subject to harsh winters and short summers. However, these conditions are mitigated by the presence of the lakes (of glacier origin) that serve and energy regulators that release heath when it is cold and refresh the vineyards when it is hot. There are several lakes in the area (see map taken from Wikipedia). Most wineries are located around Seneca, Cayuga and Keuka Lakes. 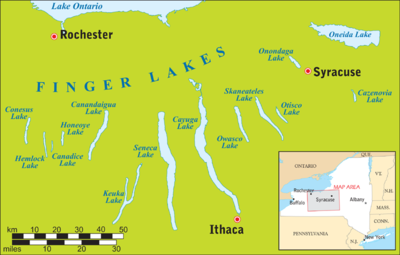 The soils are mostly sedimentary limestone (hence the minerality of the wines) sloping towards the lakes sometimes mildly (Seneca and Cayuga lakes) and others steeply (Keuka Lake). Vines root system go deep into the limestone fissures. Wine industry as such started in the region in the second half of the 19th century. Dr. Konstantin Frank (from Ukraine) was the first to introduce vinifera varieties to the region (Riesling) in early 20th century and successfully created hybrids by grafting European grapes into native stock that could resist the harsh winters. Dr. Frank is considered the pioneer of the FL wine industry. Initially wines were mostly artisan sweet but with time they have evolved to the present state of the industry that is emerging as one of the prominent wine producing regions in the USA. The region has also benefitted from having the University of Cornell that has contributed enormously with research (like Davis in California) and perhaps with demand for good wines (like Salamanca in Castilla and León). Conceivably for the same reason there are a number of top restaurants in Ithaca and in small villages throughout the region. The whites are fruity, with lots of minerals, very aromatic and some quite elegant and balanced with alcohol contents rarely exceeding 11 percent and generally around 9 or 10 percent. The reds are light in color and structure (with few exceptions) with fruit and low tannins, acidity, minerals, short to medium finish with light aromas of red fruits and sometimes wood, vanilla and tobacco. As said before they rarely reach the complexity of the heavy reds produced elsewhere. In summary I believe that the wines of Finger Lakes are worth exploring particularly for their very good quality/price ratio. 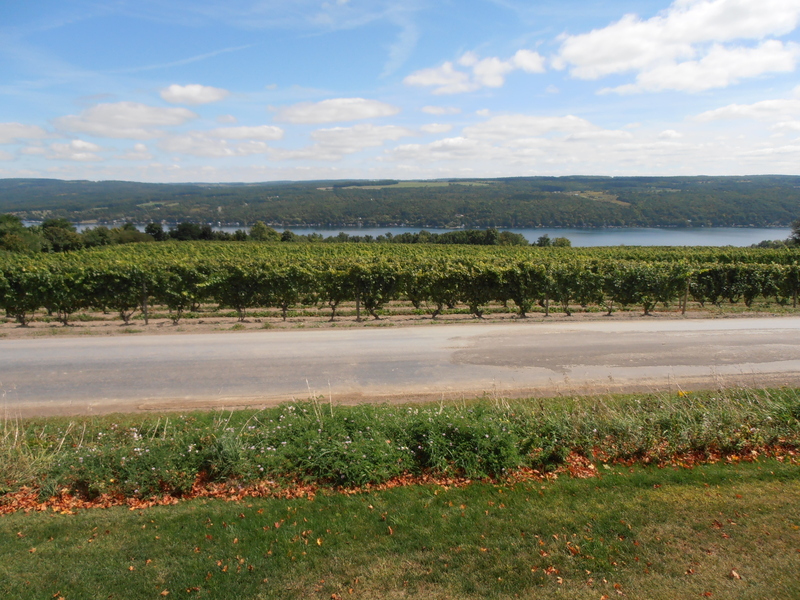 Keuka Lake Vineyards: http://www.klvineyards.com/ . Excellent Rieslings – The 2012 Dry Riesling, Falling Man Vineyard got a WS 91 pts.. The 2013 Leon Millot Red is a very good one too. Chateau Frank: (Dr. Konstantin Frank): http://www.drfrankwines.com/ The sparkling wines are remarkable (Blanc the Blancs and Blanc de Noirs) and almost all the whites are easy drinking and full of aromas, fruit and minerals. I particularly liked the semi dry Riesling. Damiani Wine Cellars. http://damianiwinecellars.com/ . Their 2012 Gewürztraminer Sunrise Hill Vineyard was excellent and the 2011 Meritage was very good. The WS rated their 2011 Cabernet Franc at 90 pts. Shalestone Vineyards. http://www.shalestonevineyards.com/ These are brave winemakers that produce only reds in this region. I liked the 2011 Synergy (a blend of equal parts of Cabernet Sauvignon and Syrah) with nice aromas to species (cardamom), black and red berries, good structure medium tannins and medium to long finish. The 2011 Cabernet Sauvignon was also very good with aromas to wood, sage, and black fruits and also well balanced tannins and acidity. Both will improve in two or three years. Thirsty Owl Wine Company. http://www.thirstyowl.com/ The 2013 Gewürztraminer was very good and they had a very nice white made of Cayuga (a native) and Seyval that balance fruit and acidity. In the reds the 2012 Meritage is very good.